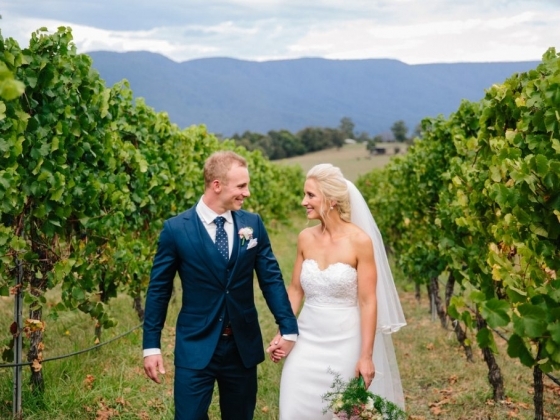 Choose Bulong Estate winery for your next celebration and have the venue, garden and vineyard all to yourself. 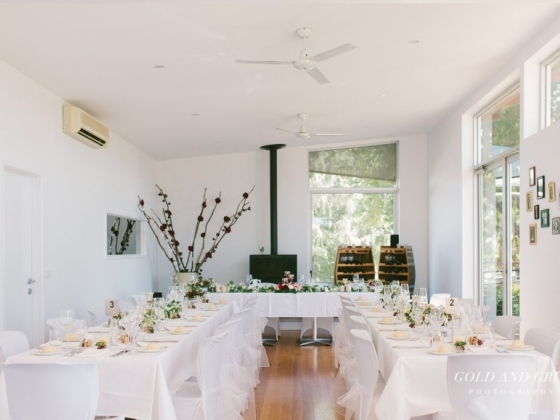 With stunning views of Mount Donna Buang and the Warburton ranges and only an hour’s drive from Melbourne it is the perfect spot for your private party or fabulous Wedding. Smaller Weddings and functions are welcome, minimum numbers for our menus are only 40 persons. Or call and ask about hiring the venue. 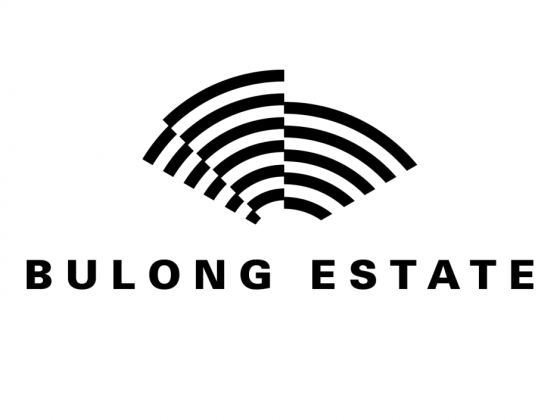 Matt is the estate’s winemaker and his wife Monica is the events manager at Bulong Estate so you are guaranteed service for your special day from the family that lives on the vineyard. Start your celebration on the outdoor deck with pre-dinner drinks while taking in the sensational views. Then move inside for a sit down dinner (up to 60 pax) or stand up function (up to 80 pax). For a larger number, a marquee or two works beautifully on the deck – we’re more than happy to arrange this for you. We have a full range of menus, both finger food or plated menus, menus to suit a casual party or a formal and seated dinner. We are here to make your event just the way you want it. 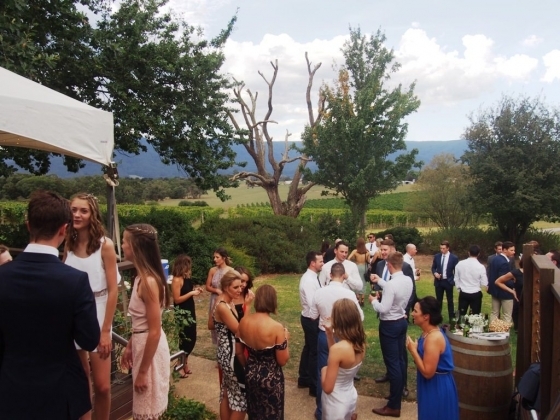 Wedding Ceremonies can be held our our outdoor stage in the garden with a spectacular backdrop of vineyard and mountains. 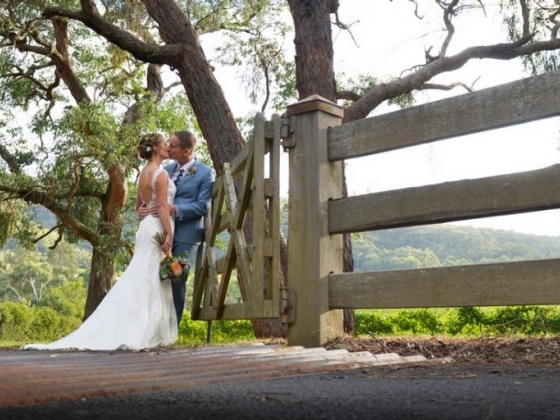 And there a amazing photo opportunities all over the Estate. 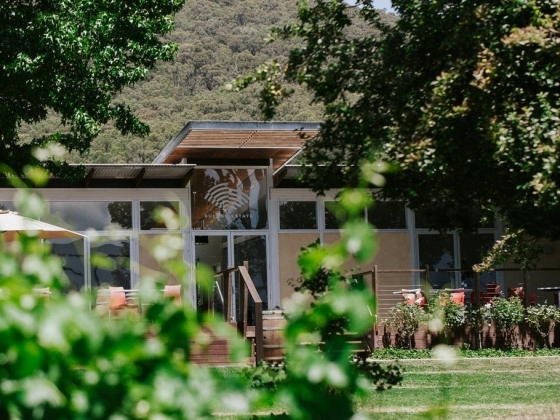 You’ll enjoy our single vineyard Bulong Estate wines, all grown, made and bottled here on site. 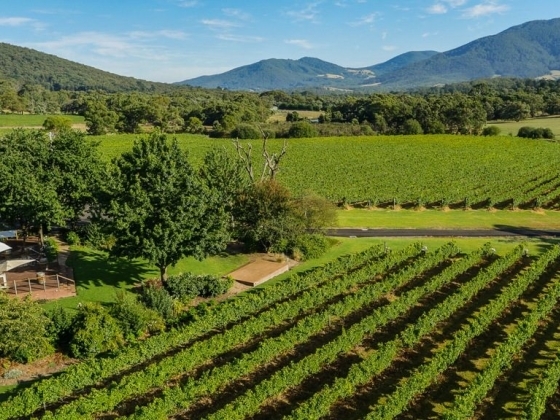 We have some of the oldest Pinot Gris vines in the Yarra Valley, and with varieties including Sauvignon Blanc, Chardonnay, Pinot Noir, Merlot, Cabernet Sauvignon and Cabernet Franc – they’ll be sure to delight the most discerning of palates. 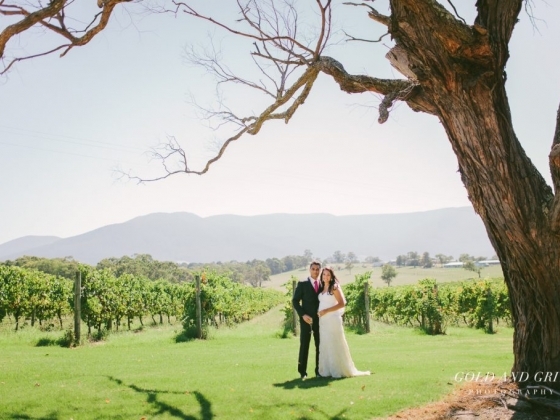 Get in touch with Monica today, she would love to chat with you about your event and arrange a time to show you around our vineyard.